How often do those thoughts cross your mind? As a business owner, you’ve got a long list of things to get done to grow your business. But even though you’re logging lots of hours working to make your dream business your reality, it feels like you’re advancing with a turtle’s speed. You wake up excited, ready to tackle all the items on your to-do list. But when you sit down to actually do the work, you’re all over the place. Your mind is scattered. There’s a million things to do, so you try to get a little bit done on as many projects as possible. You get easily distracted by new opportunities that sound promising. There’s also the allure of email messages popping into your inbox demanding you open them, the torture of unread WhatsApp messages from friends, and the latest running man challenge video that you just have to see. You had the best intentions when you woke up. But not being able to focus derailed your productivity for another day. Sigh. No bueno. If you want to grow your business exponentially faster than you are at present, you’ve got to take back control of your time. 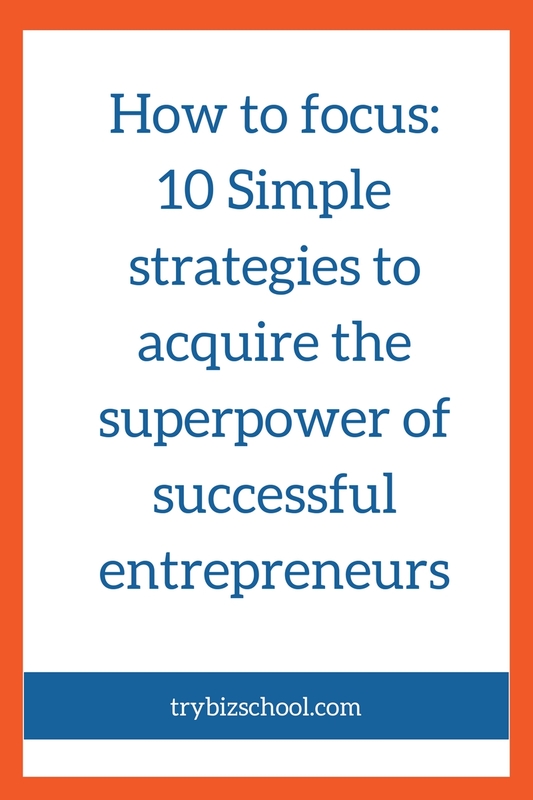 You’ve got to tap into the essential skill that fuels most successful entrepreneurs. You’ve got to learn how to focus. Struggling with focus is a theme. I’ve got a friend who doesn’t see himself settling down in a relationship anytime soon. Even though he knows he’s missing out on some really great girls, he can’t shake the thought there are still so many other great women to meet. Many entrepreneurs approach narrowing their focus on one or two strategies and tactics because they are afraid of missing out on the potential benefits of all the other things they could be doing. Have you ever gone shopping with someone who wasn’t exactly sure about what they wanted? She tends to roam around, window shopping for different things that might peak her interest. But those people who know exactly what they are looking for are able to shop with an impressive level of precision. They are able to go into a store with a one track mind on a mission to find what they are looking for. Many entrepreneurs have an idea of what they want but haven’t specifically defined it. As such, they wander around trying to do a number of things hoping to find something that works. Have you ever gone to a sports bar? There are at least three television screens with three different games on. So when one event is boring or is on a commercial break, you can divert your attention to the next screen to tune into the action. Our environments encourage and support us in doing multiple things at once. There are so many things placing a demand on our attention. And there seems to be a number of gadgets, tools, and technologies that now make it possible for us to attempt to do multiple activities at once. And when your mind is used to being overstimulated and trained to focus on a bunch of things at once, it makes it difficult for you to change your behavior when it’s time to do your work. The ability to focus is a tremendous asset to entrepreneurs because it enables them to leverage their efforts for greater returns. This compressed schedule is possible because I’ve invested significant effort to minimize the shallow in my life while making sure I get the most out of the time this frees up. I build my days around a core of carefully chosen deep work, with the shallow activities I absolutely cannot avoid batched into smaller bursts at the peripheries of my schedule. Three to four hours a day, five days a week, of uninterrupted and carefully directed concentration, it turns out, can produce a lot of valuable output. Sheesh! That’s impressive. Think for a moment what would be different about your business, if you were able to consistently devote three to four hours each day on your most important tasks. If the thought of what you’re able to accomplish excites you, then here are a few ways to help you add more focus to your work. If you consider yourself a couch potato today, it would be difficult for you to go and run a 5K tomorrow without stopping. That’s because your body is out of shape. To get it prepared to run a longer distance, it needs to work up to it over time through proper training. The same things applies to your mind. If focusing is extremely difficult for you at the moment, it will be tough for you to simply “decide” to be more focused and see great results. You’ve got to train your mind on how to not wander around whenever it wants. It’s very hard to just keep your attention on one thing. Meditation is the exercise of one-pointedness or single-mindedness. In the process of trying to keep your mind on one thing, you are … basically, it’s a process of bringing your mind back when it wanders. That is the equivalent of doing the reps in the gyms for your muscles. So when it comes to activating your superpower of focus, take your mind to the gym. Meditate for at least 5 minutes each day. If five minutes seems like too much, start with a minute and work your way up from there. In time, your focus muscles will be strengthened. As mentioned, when you’re not clear about what you want, it’s easy to roam around searching for solutions that you hope you will know are right when you come across them. That won’t help your quest for focus. The first step in getting what you want (which is why you want to focus), is defining what you want. What is the goal you are striving for? But don’t just stop at what you want. Explain why you want it. That will help you dig in to make sure what you really want and what you say you want are aligned. Write down your vision for your business. Who do you want to serve? How do you want to serve them? What do you need to accomplish within the next twelve months to put you on the path to achieving your vision? You’ve also got to be clear about the lifestyle you want to lead while you build your business. Your objectives for your business and your life shouldn’t be misaligned. To help you along, try this exercise: describe your perfect day, week, and month. Include a ton of detail as to where you are, who you’re with, and how you spend the bulk of your time. The goal is to set up your business in a way that enables you to live your perfect day as often as possible. This will enable you to live the good life while at the same time having the business of your dreams. A big reason people struggle with focus is that they aren’t exactly sure about what they should be doing. This often stems from a lack of clarity about how to achieve your goals. Let’s say you decide you’re going to New York City for your birthday. Because of where you live, you have a couple of options for how to get there: plane, train, bus, or car. If you don’t make a decision about how you will get to New York, then you’ll never be able to focus on making all the necessary travel arrangements to get there. You’ll flounder around checking out deals, weighing the pros and cons of each option, and doing scenario planning instead. To ensure you know exactly what to do with your time, get specific about the how. That way, there’s no need to bounce around from tactic to tactic trying to find one that works. You’ll know which one to devote your energy to. And then you can dig deeper to optimize it for better results. It’s one thing to know that you need to make ten sales calls today. But the vagueness in this objective leaves room for your mind to wander around. That’s because first you’ve got to figure out who you should call. Then, of course, you’ve got to find their contact information. Can you see the potential for distraction and getting caught up in other things? The second to-do list is very specific, and without ambiguity. Knowing exactly what you need to do and when makes it easy for you to follow through with your commitments. For a person to become deeply involved in any activity it is essential that he knows precisely what tasks he must accomplish, moment by moment. This can be accomplished by having systems and processes in place for all your core activities, or even by time blocking specific tasks in your calendar. Multi-tasking is willingly choosing to divide your focus. And when your attention is divided, you diminish the degree of the outcomes you will get. It’s not that you can’t do two things at once. It’s that your mind can only focus on doing one thing at a time. Research backs this up. One study showed that people who multitask struggle more with focus, are more easily distracted, and don’t do well when it comes to switching tasks. Multitasking is bad news period. So resist the urge to do more than one thing at a time. I’ve been known to exhibit binge behavior when it comes to certain foods that I like. Almond butter, almonds, gluten-free cupcakes from GiGi’s, if these things are within reach, I will have a difficult time not partaking. So my solution when I’m trying to cut back, is to not bring them in the house. Because once I know they are near, I put my willpower in an unfair battle. If you struggle to get focused because you are easily distracted, you’ve got to prepare yourself to win in advance by not giving your distractions a chance to tempt you. So if social media lures you away from your work, remove the apps from your phone, or log yourself out of them. These added barriers make it difficult for you to blindly check status updates. If surfing the web is your drug of choice, try working for a few hours in a place where you can’t access the internet. Know your triggers. And then devise and implement a plan to help you not give in to them. When it comes to getting better at focus there will be a degree of willpower involved. What most people don’t realize, is that willpower gets depleted as you go about making various decisions throughout the day. To counteract this, you should engage in the activities that require you to have the most amount of focus, when your willpower is at its strongest. That’s generally in the morning. After a full night’s sleep, our willpower battery has been recharged. At the end of the day, it’s almost depleted. Remember this entrepreneur who had a tough time focusing on doing things for her business at the end of a long day? After a full day of making decisions at her day job, and getting her workout completed, her willpower storage was almost at zero. As a result, it was very difficult for her to tap into it to help her work on her blog or other activities to advance her business. But if she were to do the work for her business when she had more willpower, say in the morning before she goes to her day job, science suggests she’d have a better time focusing on the tasks she needs to complete. When was the last time you had to focus intensely on brushing your teeth? Or on how to walk? Or cooking your favorite meal? I’ll bet very little effort went into them because your brain is already hardwired on how to do it. That’s the power of a habit. When you’ve got habits in place designed to help you focus, automaticity kicks in making it easier for you to complete the task. And because of the automaticity, you’ll have to rely less on your willpower to get it done. For instance, let’s say you want to write a book and you’re having trouble focusing on getting it done. Instead of trying to will yourself to crank out the chapters, get in the habit of writing at least one hundred words each day. Eventually, your brain will get hardwired to writing each day. As a result, when it’s time for you to sit down and write, automaticity will kick in making it easier for you to accomplish your goal each day. You can’t do everything. And when your to-do list is the size of a mountain, diverting your attention to multiple things is common. But when you are very clear on what your priorities are, and how you will accomplish them, it makes it easier for you to devote your attention to those few things that matter most. That means you’ll have to say “no” or “not now” to those activities that don’t align with your leveraged plan of action for reaching your goals. Data is a great motivator for behavior change. That’s because it’s able to show you what you are actually doing, which often isn’t as fantastic as what we think we are doing. 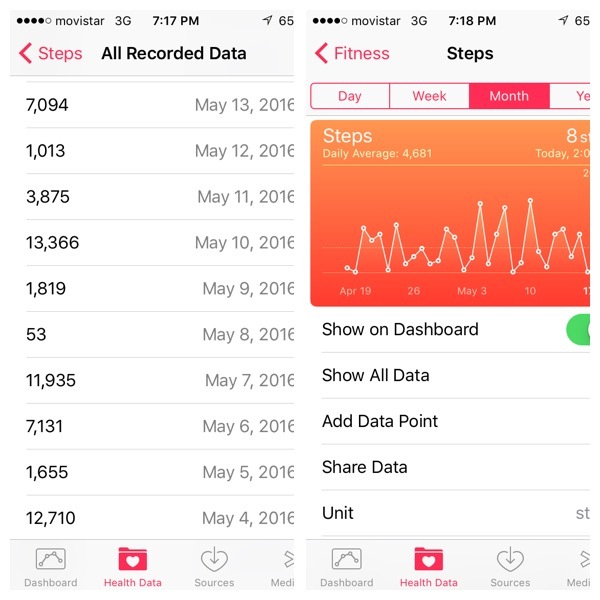 Ever since I discovered my cell phone tracks my steps, I can’t stop looking at my numbers. And as a result, I’ve been working on getting much more intentional about making sure I move more each day. You can measure how focused you are during the day by keeping track of how you spend your time. Try it for at least a week. Write down every activity you engage in during your work day, hour by hour. Knowing that you will have numbers staring you in the face telling you how much or how little you did meaningful work, will help you be more intentional about making sure you’re using your time wisely. You can get more done. And you can get it done in less time. And your work can be more impactful. But you’ve got to focus. Focus your mind. Focus your time. Focus your business. As such, you’ll enjoy the many benefits that come with activating this superpower. You’ll be able to make life better. And you’ll have more time to enjoy it too.